Steve Rogers is back as the first avenger, Captain America. This time the man donning the red white and blue battles a soldier created by Hydra who carries a dark secret of his own. 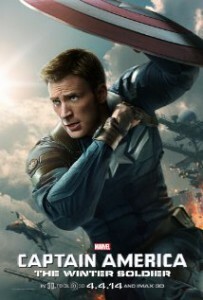 The sequel to 2011’s Captain America packs an original punch with Marvel’s feature films. It feels very much like an espionage film straight out of a Jack Ryan movie. It gives every fan of the superhero something to appreciate, as it goes much further …than a typical superhero movie. This film is completely different from the first film and i think that is what keeps Captain America so fresh. Other series like Thor are set in the same kind of setting and era, but Captain America goes from the 40’s to the current day, and it never misses a beat. Truth be told, i did enjoy this film a little more than the first one because it’s cool to see how the main character interacts with today’s technology and today’s problems like cyber hacking. He feels like he is in more trouble in a world he isn’t quite familiar with. The action is nonstop, and produces the best fight scenes of any Marvel film i have seen in a long time. In particular, the fight between Rogers and Georges Batroc (MMA’s George St-Pierre) has some amazing choreography that feels very authentic. Batroc isn’t on the screen for long, so you will be craving for a rematch between he and Captain America. The 3D wasn’t anything special, and i definitely wouldn’t recommend it when catching this at the theater. With the exception of some shield tosses at the screen, there is nothing to write home about to make it worth $12-14. The only other slight criticism i have is about the time. 2 hours and 10 minutes feels a little long for a film that we already know the back stories of these characters. I want to also mention the makeup design of Haley Atwell. She played the love interest of Captain America in the first film, but she has aged 60 years here. They show her in a hospital bed complete with makeup, and it actually looks great. Prometheus should write down on a piece of paper what to do and what not to do with makeup. It should be subtle and not stick out in the scene. Overall, Captain America : The Winter Soldier is a breath of fresh air in a genre that is getting overcrowded. It is my favorite story saga of the Avengers characters because it doesn’t limit itself to just one era. Looking for something to do with the family? Check out Captain America : The Winter Soldier. It’s well worth the price of admission. Just leave the 3D on the side. 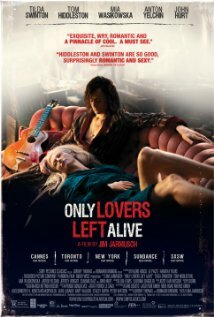 Dreamy and mesmerizing are the best words used to describe this film starring Tom Hiddleston and Tilda Swinton as two vampires roaming the earth, and the love story between them that follows. 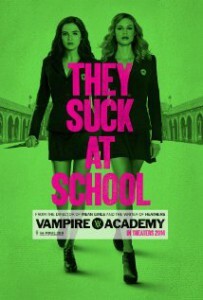 The two lead actors play vampires better than anyone i have seen since John Carpenter’s Vampires (1998). They hate the existence that they live in, but they make the most of every situation. Swinton is very intelligent as she has read thousands of books, and Hiddleston is a 18th century musician who collects vintage instruments. He also uses the Tesla way of running energy through his house.The love story between the two protagonists is something that feels eternal. Their love has lasted for centuries and it shows. They seem incomplete without each other. 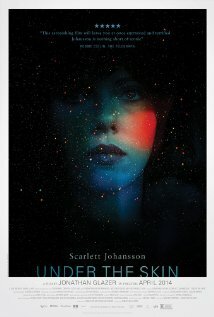 I liked this film a lot more than i thought i was going to. The Dystopian genre is really taking off in Hollywood, but this one stands out more than a couple dystopian films that are coming out this year. Divergent stars Shailene Woodley as Tris, a teenage girl who has to choose her future aspiration in a future world controlled by a brainwashing regime. The film is 2 hours and 15 minutes long, and i can safely say that i was entertained for the first 2 hours of it. It’s in the last 15 minutes that the film loses a little bit of it’s steam with a cliche outcome. The ending was weird to me because it almost seems like they went with an ending that could work whether this film gets a sequel or doesn’t do good at all and ends here. Either way, it works. Woodley is excellent in this role. She is young enough to capture a typical 18 year old’s emotions, but she is a good enough actress to channel adult like transformation. She really does transform before our eyes from a weak duckling to a full on fighting machine. Kate Winslet is also outstanding as the lady in charge, Jeanine Matthews. You can tell that Winslet is having a great time as a villain for once. She gets under your skin with smiles and soft speaking. Theo James is a little bland to me as Tobias Eaton, but i think the ladies will love him just fine. They give him the yawning scene of him taking his shirt off showing his tattoo so he and Tris can hook up yada yada yada. He just doesn’t do a good job displaying the emotions of the terrible situation that these people are under. I did enjoy some beautiful scenery which included a capture the flag game at night with the army training. The colors of this dystopian future really work with the wardrobe and emotional symbolism. What i found the most interesting about this film is that it kept me entertained for 2 hours with just building these kids into the soldiers they are born to become. It’s the training and the transformation of Tris that is the best parts of this film. I asked two teenage girls who were sitting 2 rows behind me if the film was a good adaptation, and they said they got just about everything right. They can’t speak for everyone, but that is a good sign for you the readers. 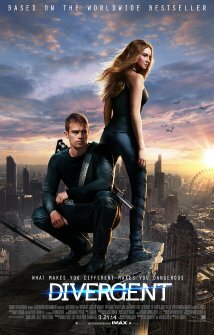 Divergent is a film that isn’t as good as Hunger Games (My opinion), but it gives you better character building than that film ever could. I wish a lot of success for this film as i wouldn’t be against seeing the sequels. I just hope they keep out the cliche love dialogue at home. I realize it’s needed because it’s in the books, but i can’t watch those scenes without rolling my eyes. 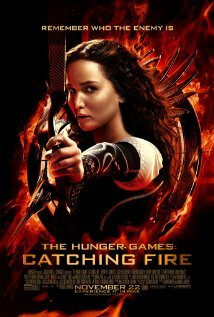 Divergent is recommended to anyone who is into this kind of genre. If you aren’t into books like these, wait till the dollar theater. It’s not essential to see it. Overall verdict – In the middle of the pack for the 33 films i have seen this year. Is it better to have a conscience when being a police officer, or is a blank slate the best way to go? This question is the focus of the newest Hollywood remake, Robocop. First of all, there isn’t going to be a lot of critique with this review. The Robocop franchise is ridiculous and possibly the furthest thing from realistic. It’s like reviewing The Fast and Furious films for realism. There are a couple of things i didn’t like about this film, but i will get to that later. Joel Kinnaman stars as Alex Murphy, a Detroit police officer who is left with damage to 95% of his body in a set up explosion. A corporate big shot (Michael Keaton) and a scientist (Gary Oldman) come up with an idea to put Murphy back on the streets with a robot suit that controls his actions. Kinnaman is decent as Murphy, but he isn’t given the proper development that Peter Weller had in the 1987 original. Kinnaman is a good enough actor to make us care what happens to Murphy, but it would be better if we learned more about who he is and what his actions are as a cop for arguably the most dangerous city in the country. The filming of Detroit is one of my biggest problems with the film. I understand that 90% of movies aren’t filmed in the cities they are portrayed in, but Detroit is one that is hard to fake. Everyone knows what you are in for when you travel there, so to see it as a beautiful lighted up town is almost comical. 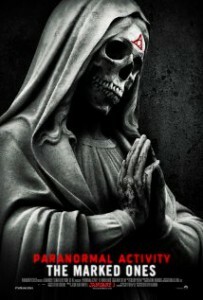 The movie was filmed mostly in Vancouver and that is understandable as it is one of the cheaper places to film a movie. Two amazing performances come in the hands of Keaton and Oldman. Keaton’s character change is the biggest one of the movie as we learn what his true priorities are. There is a calm storm to his actions on the exterior, but you know it’s all just waiting to blow. Gary Oldman is the best part of the movie for me. He is such a veteran of film that he can do roles like this in his sleep. The role he plays as Dr. Dennett Norton is written very one dimensional, but Gary puts a caring sense of Dr. Frankenstein in the object he has created. He cares for Murphy’s health, and that gives him more definition than the characters he is surrounded by.Samuel L Jackson cameos as a talk show host who comes close to stealing the spotlight at times. He knows more than the viewers he talks to, but relates to them as he only wants the best for America. The action in this film is top notch. There are a lot of fast pace chase scenes with vibrating camera shots to replicate machine gun fire. The new black suit is really cool, but i hope they revert to the old school silver if they make a sequel. The black is supposed to represent the modernization of the Robocop character itself. 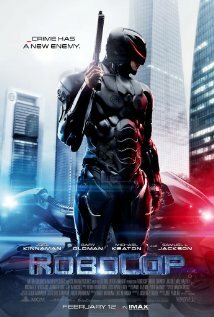 Overall, i would definitely recommend this film to Robocop fans and action lovers alike. I think it is only passed by the original Robocop (barely), but it far exceeds parts 2 and 3 by a mile. It’s a fun, action packed extravaganza that takes the best parts of 80’s action and 2014 cinematography and creates a hybrid worthy of the Robocop name. Well done Director Jose Padihla. I cannot understand why this film is sitting at a 12% on Rotten Tomatoes. Simply put, 47 Ronin is a perfect film for someone who enjoys the fantasy genre. It’s a samurai dream composed of 2 hours of excellent fighting scenes and a great story to make you care about the characters. Keanu Reeves stars as a samurai who is cast out of his family when he illegally competes in a tournament. Keanu was dealt the right hand for a film like this. I think he is really good because (And i’m not trying to sound mean here) he doesn’t talk a lot. They keep his character very mute and let him show his actions with the sword. Keanu is someone who can show deep emotion without ever saying a word, so why do so many films ruin him with too much dialogue? In addition to what i listed, the fight scenes are excellent in this film. Some of the animation of the monsters can get a little cartoonish for me, but this film is well choreographed from beginning to end. It knows where it’s going and it knows how to get there. The only other problem i had with the film was the 3D. I don’t feel this is a film that is needed with the 3D experience. There are a couple cool tricks with a dragon’s tail coming at your face, or a ball and chain being thrown in your direction, but nothing to write home about. 47 Ronin tells a true story about a group of men who paid the ultimate sacrifice by standing by a leader that they always chose to fight for. It’s a tale of honor and sacrifice, and that is why i recommend the film. Fantasy genre fans will love it. 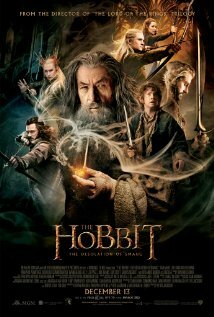 Coming from someone who is not a big fan of this series, i thoroughly enjoyed this film. This film has made walk away with the greatest feeling after seeing it, and that is for a few reasons. The first is that i was on the edge of my seat for this movie. The dragon Smaug is a great villain that adds even more because he can talk. The scene with the gold coins and his awakening scared me to death. There was just something about seeing his huge eye pop out that made my heart pump. The cinematography in these films is second to none. While i didn’t like the first Hobbit film, i can say that it was the most beautiful picture of the year. This one follows that trend, but it does it in a way to match the desolate mood of the Lake Town. 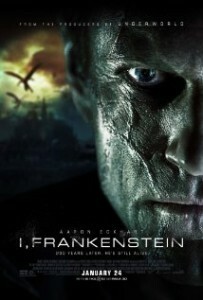 This film’s views are seen more as dark and (hate to use this word again) desolate. The high frame rate is something pretty cool to read about with this film. The fact that they shot each frame at 48 frames per second is impressive, and it shows. I also really enjoyed the introduction of Bard the Bowman and felt Luke Evans was a perfect choice to play him. For those who don’t know, Luke has been cast in The Crow reboot, so i am curious to see what he can bring to Eric Draven. Some of the things i haven’t liked about other films are still there in this film, and i am sure i will get ambushed by fans of the series for it. Ultimately though, what kind of critic would i be if i didn’t put all of my cards on the table? These films are just way too long. I get that it is an epic story you are trying to tell with lots of characters, but maybe there in lies the problem; too many characters. I think the same story can be told without a couple of their back stories being learned. I also have never been a fan of Legolas. The guy is just too immortal for me to relate to. I mean seriously, could he get a cut or a scrape just once? Why do they even need an army if this guy can kill ten people in ten seconds? Just send Legolas to take care of any trouble in the town. I did enjoy the way the film ends as it sets up for There and Back Again quite well. I recommend this film to fans of the series for sure. As for non fans, it’s a hard prediction to make. I am not a fan and i loved it for the things i mentioned above. Give it a shot, it might surprise you.